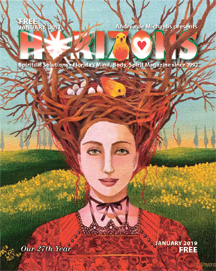 The January 2019 Horizons is now online at http://horizonsmagazine.com/mags_online/1-19-Issue.pdf . The flipbook version is at http://horizonsmagazine.com/fb/1-19index.html. We are honored to have nationally known Maya White doing the monthly horoscopes. Maya White is a Master Destination Astrologer and one of only 90 people in the world certified in Astro*Carto*Graphy, a specialized branch of astrology which helps people find their perfect place on earth for love, prosperity, and personal growth. Visit Maya’s website and for an introduction to Maya White, see http://horizonsmagazine.com/blog/introducing-horizons-new-astrologer-maya-white/ Contact her and ask what she might do for you. Here are this month’s horoscopes: Cusp dates are accurate for 2018. Sometimes the actual date the sun enters the sign varies by a day or so because of a leap year, or, even the time of day. I assure you these cusp dates are correct for 2019. Aries – (March 20 – April 19) 2019 is your year for travel and learning about all of the wonderful things that the world has to offer. Step outside of your comfort zone and learn about other cultures. Taste new foods and take on new experiences. Choose happiness and delight this year. Face your fears, and then write about it. Have you ever thought of giving a Ted talk? It’s that kind of a year – go for the gusto. This entry was posted in Uncategorized on December 21, 2018 by Andrea. Yes, you can meditate to calm and center yourself without attracting a host of guardian angels or whatever popping into your head unwanted. But for me, the giant reason to meditate is to plug in to my own inner guidance, tap into my Soul so to speak. When I sit, I first set my intention to relax, release resistance, become receptive to whatever guidance will be helpful for me, and connect. Speaking with a friend last night, I suggested that meditation might help her with her dilemma. She countered that she didn’t think it was possible to meditate yourself out of a situation, otherwise no one would have died in concentration camps, and people around the world wouldn’t be starving. I told her I wasn’t suggesting she could meditate her way out of trouble. 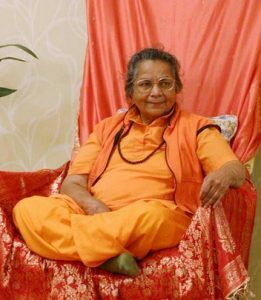 I told her meditation is simply a daily practice to relax and release resistant thought a couple of times a day. Meditation doesn’t replace action, it doesn’t replace anything. Concentration camps and starving communities take a lot of mass consciousness pre-paving to get to that crisis point; it doesn’t happen overnight. And you don’t meditate anything away. If you meditate regularly, you’re more likely to have organized thoughts. When you have organized thoughts, you’re more likely to have less uncertainty. When you have less uncertainty, you have less fear. When you have less fear, you have more trust. When you have more trust, you’ll be directed to true guidance. When you’re connected to true guidance, you feel empowered. When you feel empowered, you empower others. And a community of empowered individuals does not get led to concentration camps and they will find a way to feed themselves. And it all begins with paying attention to where you are, and to where you want to end up. This entry was posted in Uncategorized on December 3, 2018 by Andrea.